So, this can't be right. 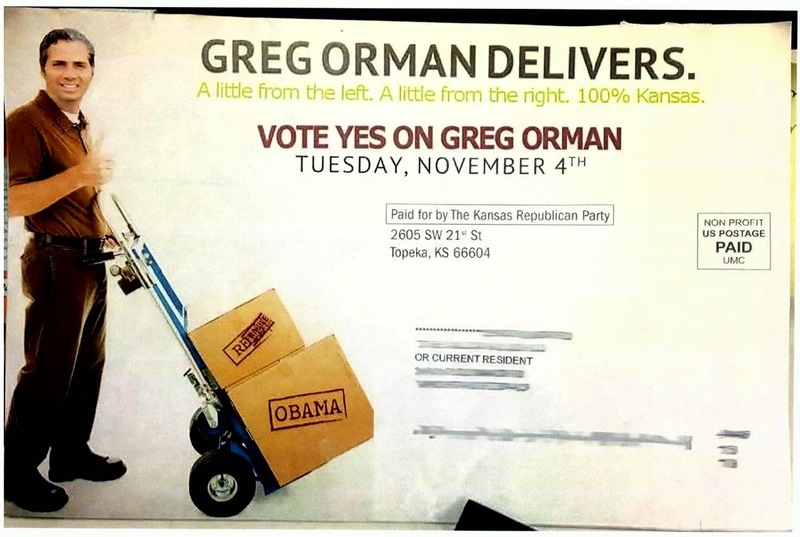 The Kansas GOP is sending mailers in support of Greg Orman? So says some guy at the DailyKOS. I haven't seen the mailer. It would be helpful to see the back. And if that actually is a pro-Orman mailer with KS GOP on it, that was probably an intentional "accident" from whoever produced the mailer. No, it is not right because it is a fake. Look at it closely!!!! Haven't you corrected this yet? !